On April 12, the Department of Education announced it will forgive an estimated $7.7 billion dollars in student loans for 387,000 people with permanent disabilities. Starting next week, the Department of Education will send letters to Americans who have been identified as eligible for what is called a “total and permanent disability” loan discharge because they have a disability and are unable to work. The Department of Education and Social Security Administration worked together to identify borrowers who have been receiving disability payments and are eligible to have their loans discharged. By law, anyone with a severe disability is eligible to have the government discharge their federal student loans. The administration took steps four years ago to make the process easier by letting people who have a “total and permanent disability” to apply for a discharge using their social security designation, but few took advantage. This is why the Department of Education and Social Security Administration began to identify borrowers who have a specific designation of “medical improvement not expected.” Of the 387,000 people identified, about 179,000 of those people are currently in default on their loans, putting them at risk of losing their tax refunds and having their Social Security benefits garnished. Starting next week, borrowers identified in the match will receive a letter form the government explaining the steps needed to receive a discharge. They will not be required to submit documentation of their eligibility. Notification letters will be sent over a 16-week period. It can be difficult to hire a home health care employee. Having a stranger come into your family’s home and care for a loved one can be nerve racking, but sometimes it’s necessary. If you are a caregiver, it is important for you to care for yourself, and arrange for time away from caregiving. When you have made the decision to hire a helper, these guidelines may help you. Ask family, friends, neighbors, and other persons you trust for recommendations. If you know someone who utilizes a home health care service, ask them about it. This can often be the best way to gain information. If you attend a support group, ask other members what resources they would recommend based on their experiences. Hiring someone through an agency saves time and paperwork, and may provide trustworthy satisfactory assistance; however, it will be more costly. Hiring someone yourself can reduce costs, but will take time and effort. If you pay someone more than $50 a quarter, you are required by law to withhold social security benefits, and make quarterly payments to the IRS. If the person you hire is already self-employed, they should then be paying their own social security taxes. It is important to weigh costs, convenience, and legal responsibilities. Be clear about the duties of both the helper and employer. A formalized agreement is vital in the case of disputes over wages, tasks, etc. Make a list of tasks and questions that meet your needs and address your particular situation. Have you ever given care to someone with dementia (or whatever the health issue may be)? Why are you choosing this type of work? Request references, and advise them that you will be checking references and other resources regarding their employment history and character. How did they get along with you and the person for whom they provided care? Were they reliable and dependable? When you decide to hire someone, show them what a typical day is like and describe your loved one’s habits. Show him/her around the house and how to use specific appliances. Don’t expect him/her to plan meals. Instead, write down menus and details. For example, write down how the person likes his/her chicken or how much sugar he/she likes in their coffee. Make a list of who to call in case of emergencies and what time your loved one may require medications. Make a chart for the time of each medication and have the employee cross off when it is given. This helps to eliminate any confusion related to when a medication was dispensed. If you do not live near the person who is in need of care, make sure you get the phone numbers of neighbors and friends, as well as giving them your loved one’s house keys in case of emergencies. Write down his/her responsibilities, salary, vacation, benefits and day that he/she will get paid. Make expectations very clear. Request that he/she give you two days’ notice if they can’t be there for specific day. Let him/her know if you don’t want them to have visitors or make long distance phone calls. Spell everything out very clearly so there are no misunderstandings. Put all money and jewelry in a safe. Have checks from pensions, investments, and Social Security deposited directly into an account, and do not give home health care aides access to bankbooks or finances. Be sure to maintain a professional relationship. Letting him/her become a member of the family opens the door to possible exploitation, especially if you don’t live nearby and cannot monitor the situation closely. Finding a good home health care employee is invaluable so make sure you find the right fit for you and your loved one. The Social Security Administration (SSA) has come out saying there will be no automatic cost-of-living adjustment, or COLA, for 2016. SSA has said the reason there will be no change is because inflation is too low to warrant an automatic benefit hike. Since 1975, federal law has mandated that Social Security benefits adjust upward annually to account for increase in inflation as measured by the Consumer Price Index. There have been only two other years (2010 and 2011) without a COLA. Without an adjustment, the maximum federal Supplemental Security Income benefits for individuals will remain at $733 per month. Couples can receive $1,100 per month. Across the nation, over 59 million people receive Social Security benefits and 8 million rely solely on SSI. October is Bully Prevention Awareness Month. Bullying impacts children of all ages all over the world. Bullying can be physical, verbal, or happen online. School dropout rates and absences among children who are bullied are much higher than other students. 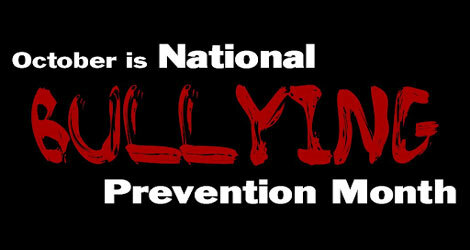 In fact, more than 160,000 students in the USA stay home each day because they are scared of being bullied. The group of students with the highest risk of being bullied is students with disabilities. Students with disabilities are two to three times more likely to be bullied than their peers without disabilities. Researchers have also discovered that students with disabilities were more worried about school safety and being injured or harassed by other peers compared to students without disabilities. One out of every four students reports being bullied during the school year. Students who experience bullying are at an increased risk for depression, anxiety, sleep difficulties and poor school adjustment. The students who do the bullying are at an increased risk for substance abuse, academic problems and violence later in adolescence and adulthood. In fact, by age 24, 60% of students who bullied others in grades 6-9 had one or more criminal convictions. The students at the highest risk for both mental health and behavior problems are students who were both bullied and bullied others. Not only does bullying lead to mental health problems, but it can also lead to suicide. There is a strong association between bullying and suicide-related behaviors. Youth victimized by their peers were 2.4 times more likely to report suicidal ideation and 3.3 times more likely to report a suicide attempt than youth who reported not being bullied. Students who are both bullied and engage in bullying behavior are the highest risk group for adverse outcomes. So what can be done? School-based bullying prevention programs decrease bullying by up to 25%. Students reported that the most helpful things teachers can do are: listen to the student, check in with them afterward to see if the bullying stopped, and give the student advice. Students reported that the most harmful things teachers can do are: tell the students to solve the problem themselves, tell the student the bullying wouldn’t happen if they acted differently, ignored what was going on, or tell the student to stop tattling. The best way to stop bullying is to engage bystanders. Students who experience bullying report allying and supportive actions from their peers as the most helpful actions. Students also said that they find peer actions to be more helpful than educator or self-actions. While October is Bully Prevention Awareness Month, it isn’t the only time we should talk about bullying. Bullying happens all year long and impacts people every single day. It’s important for us to not only talk about bullying, but to also work to prevent it from happening in the future. None of us want to think about winter just quite yet, but it’s just around the corner. The time has come to start thinking about winter heating costs. 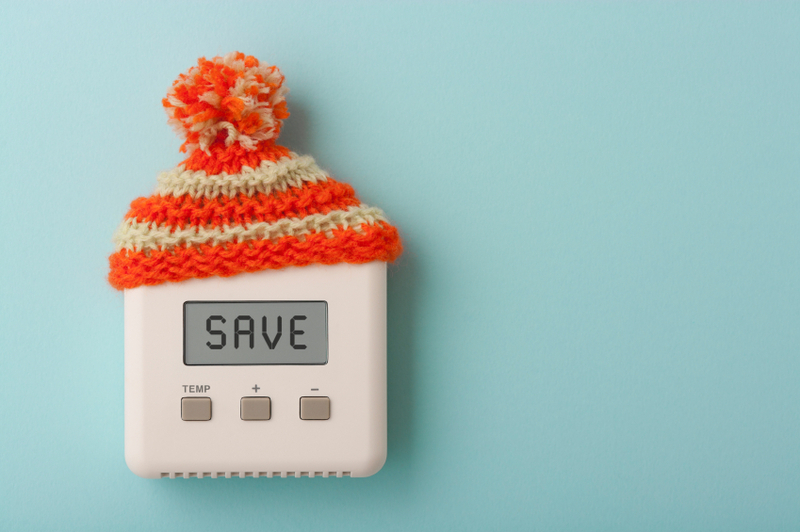 Here are a few tips to save money this winter and still stay toasty and warm. A humidifier can help control heating costs because the moist air will feel warmer, allowing the thermostat to be set at a lower temperature. Use draperies, blinds, curtains or shutters on all windows to slow the loss of heat through the glass. Keep window coverings open on sunny days to let in the sun’s warmth. Rearrange furniture, placing it next to inside walls and away from windows. Avoid blocking heat registers with furniture, draperies or carpet. Use kitchen, bath and other ventilating fans sparingly. In just one hour, these fans can exhaust a houseful of warm air. Closets and cabinets on outside walls can leak a great deal of cold air, so make sure the doors fit snugly and keep them tightly closed. When you’re not at home, turn the thermostat down 10 degrees. It can save you around 10% a year in heating costs if done for 8 hours a day.